In Mallorca, food and wine are a way of life. 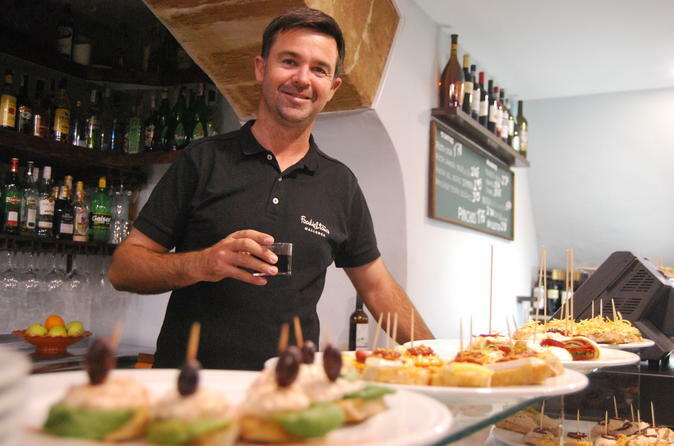 Go off the beaten wine and food tasting path on this half-day, guided tour and immerse yourself in local food shops, tapas bars, wine bars, and culture. Tour the streets with your guide stopping along the way to taste at gourmet foods at artisanal shops. Discover the city and indulge in a tasting of Mallorccan wines and classic tapas.